Just as Woolworths has made a name for itself as one of the giants of the Australian grocery sector, its mobile plan offshoot, Woolworths Mobile, is slowly becoming a big name among the smaller telcos. Woolworths relaunched its mobile phone business in 2015 as a Mobile Virtual Network Operator (MVNO) on the Telstra 4G and 3G network. The supermarket giant’s previous arrangement with Optus ceased in 2013, and the company then took a two-year hiatus from providing phone services. Three years since its relaunch, and Woolworths Mobile is now a serious competitor in the low-cost end of the mobile market – with a range of SIM only prepaid, postpaid and phone on a plan options available. The telco offers some pretty straightforward plans at good prices, but what can you expect if you want to sign up with Woolworths Mobile? Woolworths Mobile has four main plans that are available either as prepaid or postpaid plans. The prices and data allowances are the same but some of the inclusions, charges and expiry might differ depending on whether you choose prepaid or postpaid. Both prepaid and postpaid plans start at $20 for the Extra Small with 3GB of data and going up to $50 for the Large with 35GB, with the prepaid recharges expiring after 30 days. If you want a new phone, you can choose from the same four plans to pair with a device, which you will need to pay off over 24 or 36 months. If you choose a 36-month repayment period, you’ll pay less for your new phone and plan bundle each month than you will over a 24-month repayment period. What does Woolworths Mobile offer? Although Woolworths Mobile doesn’t offer every extra you’d find on a Telstra plan, there are some good options available with reasonable inclusions for data, talk and text. While there aren’t any entertainment extras available —something you’ll find with many big telcos (and some smaller ones)— Woolworths Mobile offers simple, affordable plans with decent value. Woolworths Mobile uses the Telstra 4G and 3G network, which covers over 23 million Australians. So the good news is, if your area is covered by the Telstra network, Woolworths Mobile is an alternative provider to the big telco. 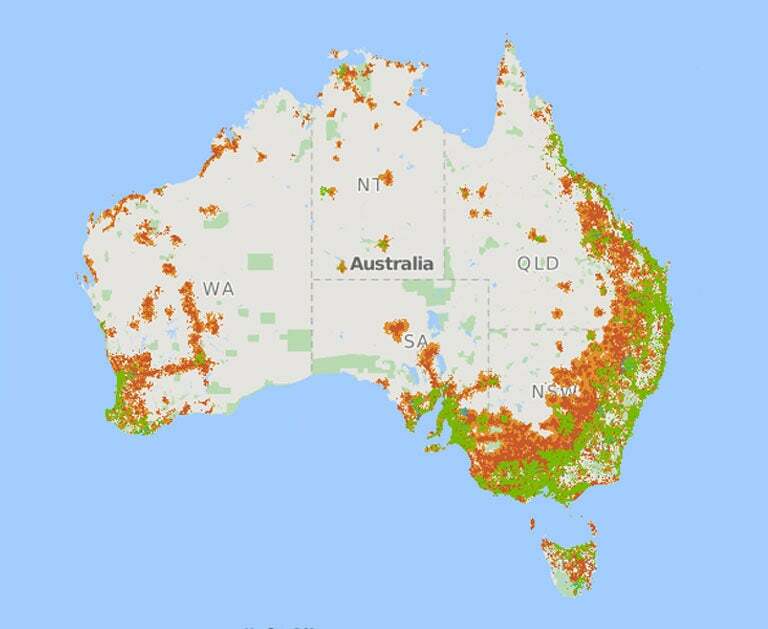 Below is a screenshot of Woolworths Mobile’s current 4G and 3G coverage, represented by the green and orange/brown areas. More detailed coverage information can be found on the Woolworths Mobile website. All of the Woolworths Mobile prepaid and postpaid plans come with unlimited standard national calls and SMS. The telco also offers bonus data on plans from time to time so it’s worth keeping an eye out to see if there are any bonus offers currently running. International calls and SMS: Woolworths Mobile’s prepaid, postpaid and Flexi plans (available in conjunction with a new phone) all require you to activate the pay-as-you-go (PAYG) international extension and you’ll need to select a limit which come in $10 or $30 blocks, with a maximum of $200. Data rollover: This is perhaps where Woolworths Mobile shines brightest – in its generous rollover data inclusion, known as Data Bank. Essentially, any unused data at the end of each billing cycle will roll over into your Data Bank, to be capped at 100GB of saved data. This is available on 12-month SIM-only plans, Flexi plans, and even on prepaid plans – you’ll simply need to recharge before the expiry to ensure unused data rolls over into your Data Bank. Add-on data: All prepaid, 12-month plans and Flexi plans include the option to add on data, and postpaid plans allow you to add extra data but this will expire and not roll over into the data bank. Auto-recharge: The Woolworths Mobile app allows you to enable auto-recharge, so you don’t have to worry when it comes to topping up your plan. International roaming: Woolworths Mobile does global roaming a bit differently. While you won’t be able to keep using your SIM and plan while travelling, you can purchase a roaming SIM from Woolworths before you head off. Its worth noting that this is a data SIM, however with all of the apps that allow calls and messages, it’s still a convenient option. Phone and plan bundles: There aren’t too many MVNOs offering new devices with mobile plans, so if you’re unsure about signing up to one of the big three telcos, Woolworths offers the latest Samsung and OPPO phones. It also stocks the FZ One phone, which is a smartphone specifically designed for kids (with built-in parental controls powered by Family Zone cyber security). To get started with a Woolworths Mobile prepaid plan, you’ll need to purchase a prepaid starter pack which come as $20, $30, $40 or $50 SIM packs. Once you’ve got your prepaid SIM card, you can select your recharge plan, which all expire after 30 days. You can choose between four plans: $20 Extra Small, $30 Small, $40 Medium and $50 Large. These plans also include unlimited standard national calls and text, with the option to enable the international extension to then purchase and use international call packs. Data banking is available on prepaid but you’ll need to recharge before your credit expires in order to maintain your data bank. If you’d prefer a postpaid plan, you can opt for a 12-month plan with the same four price points to choose from. The $20 Extra Small plan will get you 3GB of data; $30 Small plan will get you 10GB; $40 Medium will get you 22GB; and for $50 a month, the Large plan gives you 30GB of data. All of these plans include unlimited standard national calls and SMS and access to data banking, which will work automatically if you keep on top of your payments. There are add-ons for more data and if you enable the international extension, you can purchase international call pack add-ons. Want the latest Samsung or OPPO device? Woolworths Flexi Mobile plans allow you to pick a phone, choose your repayment period (24 or 36 months), and then pick from four Flexi Mobile plans, which are the same four as the SIM-only postpaid and prepaid plans. 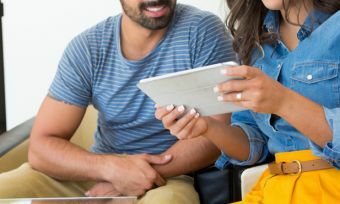 It’s worth noting that while the plans are month-to-month with a minimum term of one month, you’ll have to pay off your handset if you choose to cancel your plan before your phone payment period is over. The Extra Small plan gives you 3GB of data and unlimited standard national calls and text for $20 per month. The Small plan gets you 10GB of data, unlimited standard national calls and text for $30. The Medium plan gets you 22GB of data and the Large plan includes 35GB, with both plans including unlimited standard national calls and text. All of these plans include the option to add on international calls and additional data plus data banking. How does Woolworths Mobile compare? Woolworths Mobile isn’t the only telco offering Telstra network coverage at lower prices. The following providers also use parts of Telstra’s 4G and 3G networks. Is Woolworths Mobile a good deal? If you like keeping your options open, but don’t like too many plans to choose from, Woolworths Mobile offers a reasonable selection — but without making you feel overwhelmed from the choice. Plus, none of the plans go over $50, so you won’t have to pay excessive amounts for decent data or talk-and-text inclusions. When it comes to keeping in touch with overseas friends and family, Woolworths’ add ones can help, but it could add up if you like to make a lot of overseas calls. While other telcos might offer discounts or extra data if you’re willing to commit to a contract rather than prepaid, there isn’t much difference between the Woolworths Mobile prepaid and postpaid plans. Of course, one of the big draw cards to Woolworths is access to new phones, especially the latest Samsung devices: you might find you get a better deal on a new Samsung with a Woolworths Flexi Mobile plan, than you would from a big-name telco. But of course, it’s always best to do your research first to see if Woolworths Mobile is the right provider for you.